5. Auth collectively represents both authentication (identifying yourself to the system) and authorization (level of access based on your identity). There are multiple auth mechanisms that REST APIs use. 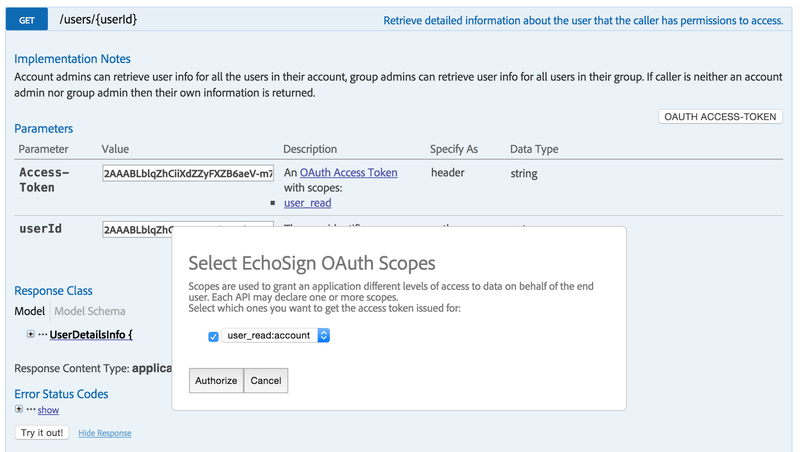 EchoSign, for instance, currently supports API_KEYS, BasicAuth access token and OAuth based access tokens. 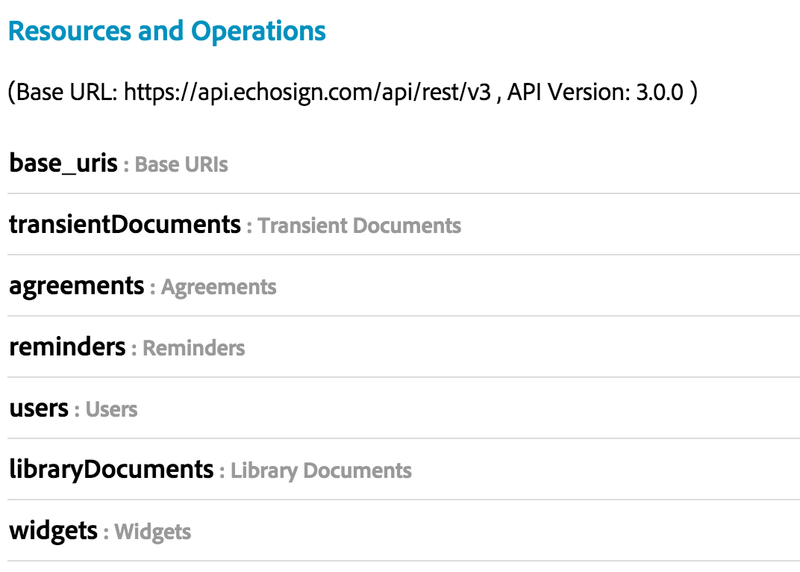 The EchoSign REST API documentation allows you to single click and interactively issue OAuth access tokens of the desired scope for different end-points. For instance, below we are requesting for an OAuth access token which allows an admin to view details of a user in her account. 6. Request and Response are same as in standard client-server communication. Request, provides a way to specify details for creating/updating a resource or filters for getting to a specific resource. Response in turn returns the specific resource id or it's details. Most systems use JSON format for the request body and response though one can also use XML. 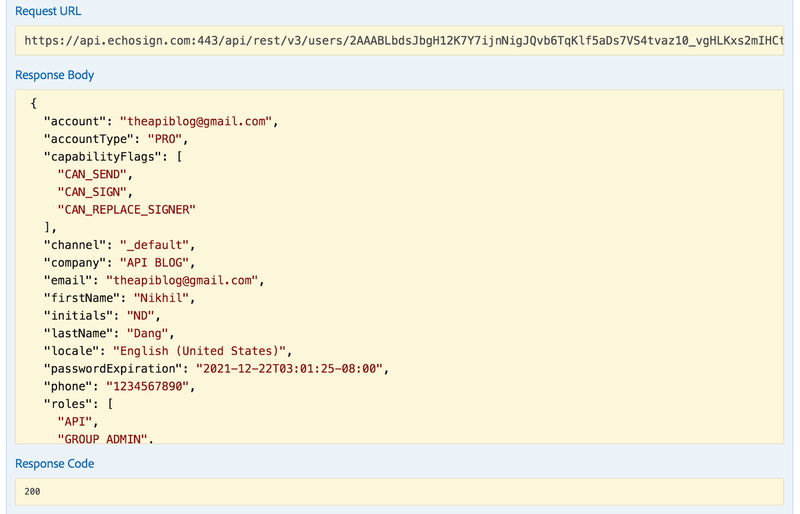 And that my friends is a bird's eye-view of RESTful API design. Many of these points deserve a POST of their own and they definitely will GET one. Stay PUT! informative post! I really like and appreciate your work, thank you for sharing such a useful facts and information about collective agreement strategies, keep updating the blog, hear i prefer some more information about jobs for your career hr jobs in hyderabad .